The way we communicate online has gone through a sea-change over last few years – Infact, majority of netizens spend most of their time on social Media / Networking sites. Even though India Software companies are lagging behind in adoption of social media, others are flocking them in large numbers. Twitter has been a rage over past 1 year, Facebook has become one of the most visited sites on the web, Professionals are flocking Linkedin and keep their profiles updated. 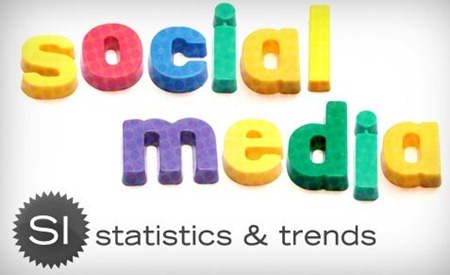 Do you want to know the numbers behind these uber-popular social media sites? Facebook claims that 50% of active users log into the site each day. This would mean at least 175m users every 24 hours. Twitter now has 75m user accounts, but only around 15m are active users on a regular basis. LinkedIn has over 50m members worldwide..
Facebook currently has in excess of 350 million active users on global basis.Six months ago, this was 250m…This means over 40% growth in less than 6 months. Flickr now hosts more than 4 billion images. More than 35m Facebook users update their status each day. Wikipedia currently has in excess of 14m articles, meaning that it’s 85,000 contributors have written nearly a million new posts in six months. Photo uploads to Facebook have increased by more than 100%. Currently, there are around 2.5bn uploads to the site each month. Back in 2009, the average user had 120 friends within Facebook. This is now around 130. Mobile is even bigger than before for Facebook, with more than 65m users accessing the site through mobile-based devices. In six months, this is over 100% increase. There are more than 3.5bn pieces of content (web links, news stories, blog posts, etc.) shared each week on Facebook. There are now 11m LinkedIn users across Europe. Towards the end of last year, the average number of tweets per day was over 27.3 million. The average number of tweets per hour was around 1.3m. 15% of bloggers spend 10 or more hours each week blogging, according to Technorati’s new State of the Blogosphere. At the current rate, Twitter will process almost 10 billion tweets in a single year. About 70% of Facebook users are outside the USA. India is currently the fastest-growing country to use LinkedIn, with around 3m total users. More than 250 Facebook applications have over a million combined users each month. 70% of bloggers are organically talking about brands on their blog. 38% of bloggers post brand or product reviews. More than 80,000 websites have implemented Facebook Connect since December 2008 and more than 60m Facebook users engage with it across these external sites each month. Mind-blogging statistics uhh…. Think how they will change in next 2-3 years ! We will literally be living our lives online rather than offline ! Indian IT services Giants – found wanting on Social Media? Nowadays many people are using social media and go to social networking sites to learn or research about products/services. Social network ad revenues are projected to reach approximately $10 billion worldwide in 2013. SARKAR KO TERIRISAM AGAR SAMAPT KARNA HAI TO UUSE JAD SE NIKALNA PADEGA, JISEKELIYA EK SPECIAL ALAG SECRECT GROUP KA ISTEMAL KARNA PADEGA, JINEKA DYAN KEVAL TERIREST ACTIVETY JO GALAT KAM KARNE KI KOSIS KAR RAHE HAI NIGAHE RAK KAR JAD SE NIKAL KAR SAMAPT KARNA HOGA, YA CCTV CAMERE, YA ROAD VEHICAL CHEAK UP SE KHOCH HONE WALA NAHI HAI, YE LOG KAHI BHI APNA KAM AASANI SE PURA KAR SAKATE HAI, JAB TAK NAJER OR KATMA NAHI KIYA JAYIGA YE BANDH HO NE WALA NAHI HAI. Why India famous Okrut not include in there? Facebook is the top 2 world site in the world of this year. Buzzref.com – Online Tool for Facebook Business Page Statistics. Buzzref enables you to see all the information about your Facebook page – critical to analyzing its performance and activities. The application also allows you to track the Facebook business pages of your competition. Fantastic stats. Very encouraging information for the new kids on the block in social networking such as Mavenz Kenlighten that is focused on social learning. Great information buddy. Thanks for sharing this stuff. Its a tremondus job by some one or the group i thank them for giving the whole information abt this thanks a lot…. I agree that Social media is one of the premier change factors in the marketing and communication industry. The way we communicate has changed a lot during the last few years because of Facebook, LinkedIn, Twitter. Facebook has become the largest social media site with its popularity growing tremendously in the last few years. Recently Twitter has made headlines in every news site and blog with its phenomenal growth. Your statistics confirms that these social media sites are changing the way we communicate and are making it more interesting for all of us. One more stat for you..
and 85% of all statistics are made up. and how did you made this stat up? great collection of stats, amazing growth in social networks this past year.